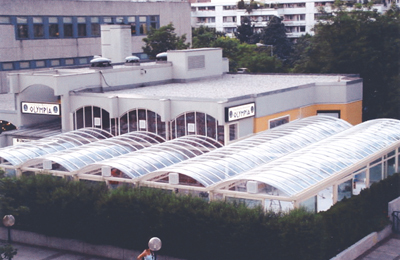 The transparent plastic (polycarbonate) dome roof of this restaurant in the German city of Dusseldorf was leaking and was urgently in need of waterproofing. 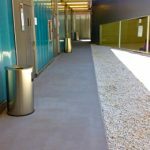 The MARITRANS SYSTEM® Transparent Waterproofing System was selected, instead of the obvious and nonending replacing of the weathered silicone joints. 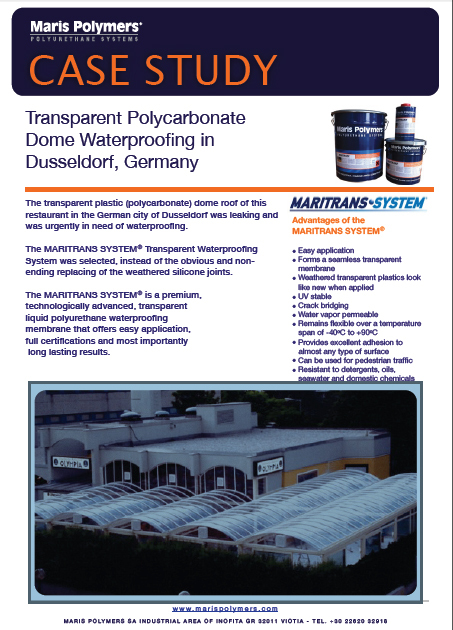 The MARITRANS SYSTEM® is a premium, technologically advanced, transparent liquid polyurethane waterproofing membrane that offers easy application, full certifications and most importantly long lasting results. 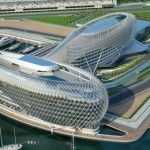 Read more about polycarbonate waterproofing.